« Ink and Gold: Art of the Kano » at the Philadelphia Museum of Art, Philadelphia. of a handful of the most emblematic artists from the Japanese school of painting. Established in 15th century, the Kano school has perpetuated almost four centuries worth of the artistic excellence of its members. 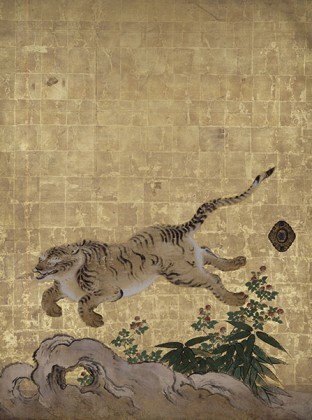 These works distinguish themselves through the astonishing use of the golden leaf and are considered genuine treasures in Japan, as evidence of the country’s cultural and artistic sophistication, before it opened up to the rest of the world. "Children at the Royal Court in the Renaissance" at the Château Royal, Amboise.